We cannot know what really happens in the world. On second thoughts, this claim is a generalisation; an omniscient being does of course know what occurs everywhere at every infinitesimal fraction of time. Nobody I have met, however, possesses this extraordinary capacity, and it is possibly true to say that most of us do not have this capacity, or rather, this power. If we did, maybe some of the things that happen in the world, would probably not happen. In the absence of this power, we resort to alternative paths to knowledge of what is occurring outside of us and our individual scope of perception. One (if not the only) alternative access to truth may be provided by the media. It can be said, in fact, that the media is the acknowledged institution that is closest to enjoying the superpower of omniscience. Again, an alternative access to truth ‘may be’ provided by the media; maybe it does provide with the truth, but maybe it does not. In most cases, the media only presents a partial truth. When it comes to the media informing in the Western countries about war, it is interesting to observe how the truth usually takes the form of the classic superhero story in which ‘the good’ rescues the victims from the tyranny of ‘the bad’. Curiously, in these superhero stories, the media has in some occasions conveniently introduced some kind of science fiction strategy such as the appearance in the plot of weapons of mass destruction. But this is not surprising; it is not difficult to see how the sense of danger can make any story appear more interesting. The tales told to us by the media, however, do not always satisfy us. 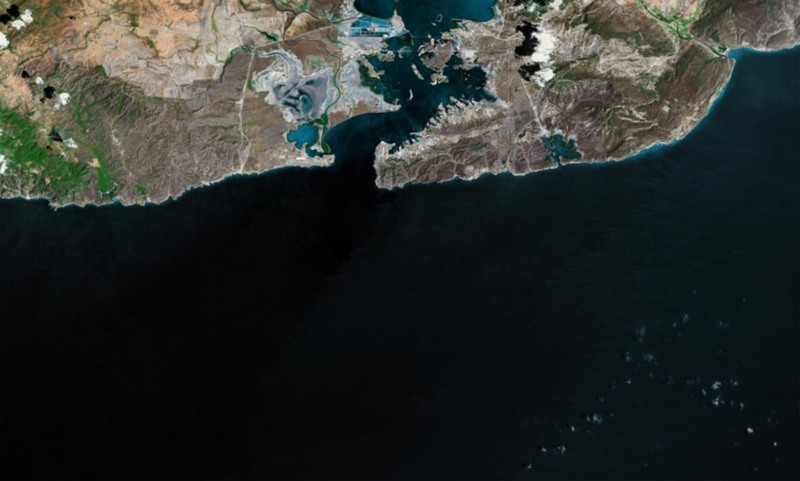 What about the ‘other’ partial truth? 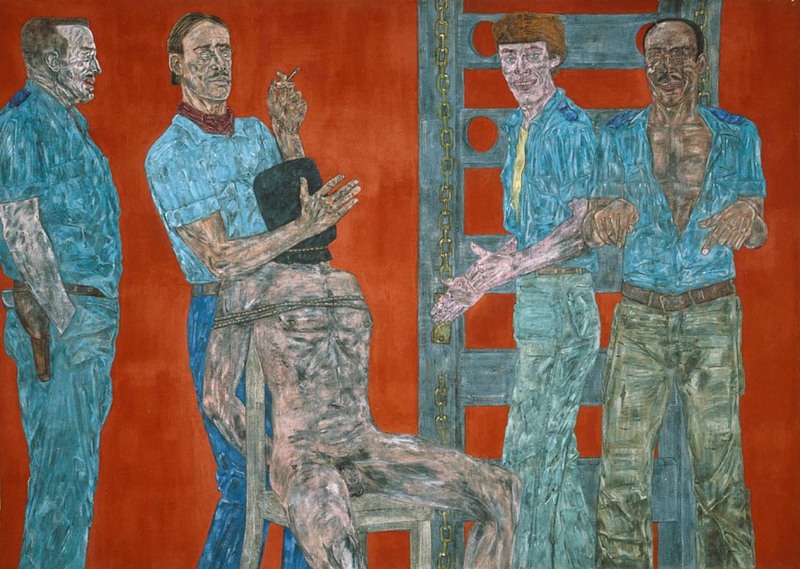 In his desire to build up the untold story, the artist Leon Golub imagined all sorts of atrocities. 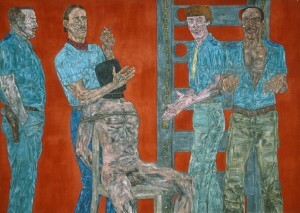 These fantasies were embodied in various series of paintings that he created around the 80s, and which mainly depict humans being tortured by soldiers. About these artworks, Jon Bird wrote that the point of view that is represented in them could not possibly occur in photography because no one can be in that position. Jon Bird was right in that no outsider could be a witness of such situations. What he did not get right, however, is that photography could never capture such a scene. In fact, we now have photographs of such spectacles of torture. The photographers have been no others than the torturers of the scene, who –in the same way that artists may be proud of displaying their work– were so proud of the task they were carrying out, that they wanted to immortalise the moment. Thanks to the dedication of the torturers, we now know some of the most morbid details of superhero stories. At the beginning I said that if we knew, maybe some of the things that happen in the world would probably not happen. And now we know.